On February 13, hosts of the New York radio show The Breakfast Club dismissed overblown conservative outrage attempting to smear presidential candidate Sen. Kamala Harris (D-CA) over her responses to questions about marijuana and music during their show. Despite the host criticizing and debunking Fox’s version of events, some Fox figures have continued to use the incident to smear Harris’ character. On February 11, right-wing media attempted to scandalize an interview Harris did with The Breakfast Club, claiming she lied about smoking marijuana in college to seem relatable to voters. During the interview, Harris had said that she supports marijuana legalization and revealed that she smoked in college before answering one of the hosts’ question about what music she listens to. 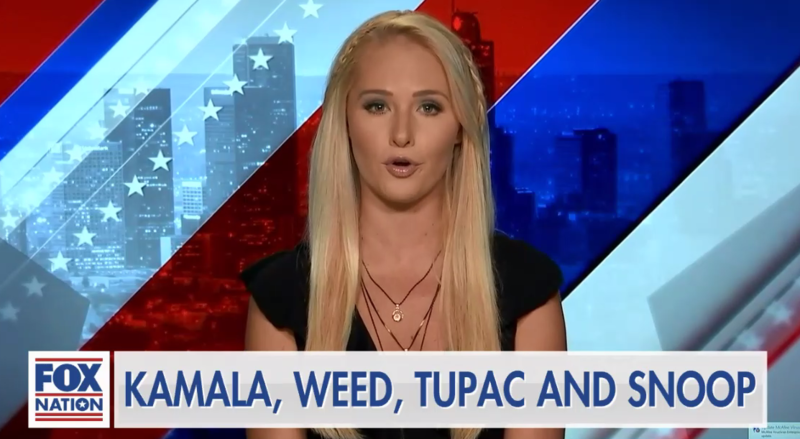 Right-wing media figures decided to interpret the sequence as Harris claiming she smoked marijuana in college while listening to Snoop Dogg and Tupac, which they noted would be impossible because their music wasn’t released until after Harris graduated from college. This trivial nitpicking of details gave right-wing media figures an opportunity to smear Harris as unrelatable. Despite The Breakfast Club’s rebuke of the version of events right-wing outlets originally reported, some Fox News figures have continued to run with the lie. UPDATE (2/13): The Breakfast Club responded to conservative media’s smear of Harris, explaining that their conversation was misrepresented. 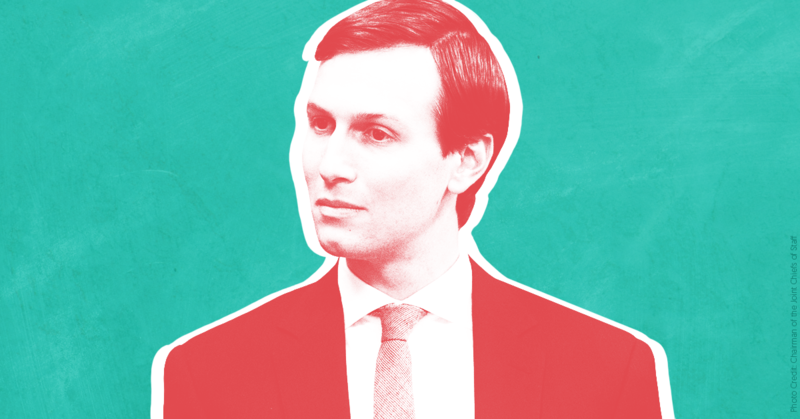 The wanna-be scandal underscores a larger trend of figures on the right using misinformation to paint Democratic candidates as inauthentic and unrelatable. 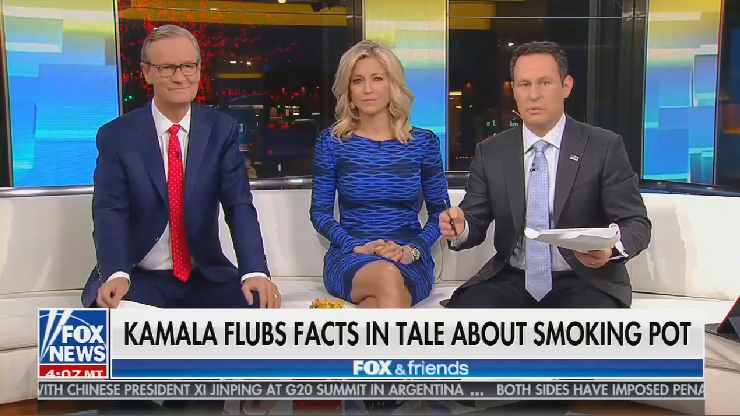 BRIAN KILMEADE (CO-HOST): And then Kamala Harris came out and gave a very impressive introductory "look at me -- I want to run for president." However, if you look at some of the things she is saying about giving insurance for everybody, destroying private insurance and giving Medicare-for-all, you wonder where that came from. Then she admits on a morning radio show that she smoked marijuana because she wanted to in college. AINSLEY EARHARDT (CO-HOST): So seven years after she graduated from undergrad, Snoop Dogg's debut album was released. And five years after she graduated from undergrad, Tupac's album was released. DOOCY: So she doesn't remember what she was listening to when she was smoking. KILMEADE: Right. I just don't know why -- she’s a scholar, her career is on a fast trajectory; she should embrace it, go behind it. Whoever you are, you have to be that person or it's not going to work. Did Donald Trump show you anything? For better or for worse, Donald Trump shows you exactly what he's doing every day and who he is. 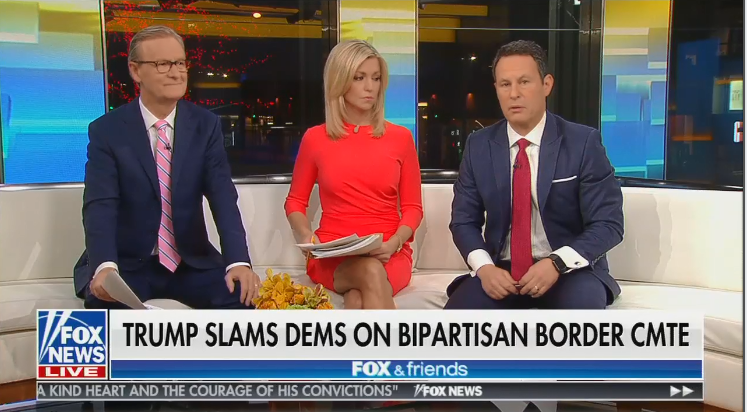 As President Donald Trump prepares to hold his first campaign rally of the year in El Paso, TX, on February 11, Trump’s allies on Fox & Friends have already picked up on his lie that violence in El Paso decreased following the construction of border fencing. The morning show hosts are pushing this false narrative as fact even though multiple outlets have already debunked it. During his State of the Union address on February 5, Trump falsely claimed, “The border city of El Paso, Texas, used to have extremely high rates of violent crime - one of the highest in the country, and [was] considered one of our nation's most dangerous cities.” State and local officials quickly pushed back on this claim. PolitiFact also debunked it, writing that El Paso’s “violent crime rate has been significantly below the national average compared to cities of similar size” every year between 1985 and 2014. And as NBC News reported, “Violent crime has been dropping in El Paso since its modern-day peak in 1993 and was at historic lows before a fence was authorized by Congress in 2006.” Both outlets also noted that the violent crime rate in the city increased after the fence was put up. 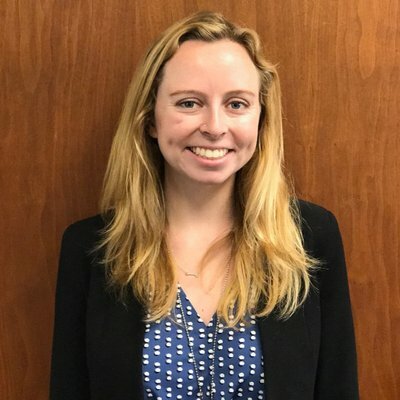 In fact, the El Paso Times reported, “From 2006 to 2011 — two years before the fence was built to two years after — the violent crime rate in El Paso increased by 17 percent.” But as criminologist Charis E. Kubrin told PolitiFact, the increases or decreases in the city’s crime rate aren't necessarily linked to the fence. 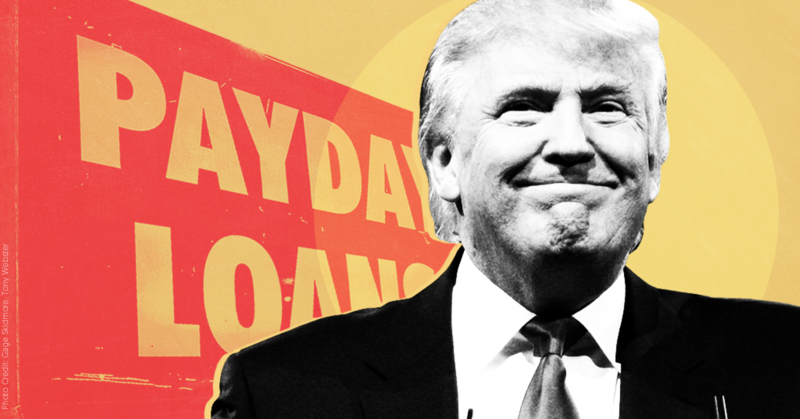 On February 6, the Consumer Financial Protection Bureau (CFPB) under President Donald Trump announced a proposal to weaken an Obama-era rule designed to protect consumers from predatory payday lenders. Despite this move’s implications for consumers, network and cable news almost entirely ignored the rule change. The Obama-era rule, which had set August 19, 2019, as a deadline for the payday lenders to start complying with its provisions, “was the first significant federal effort to regulate payday lenders and took more than five years to develop.” Part of its provisions would require payday lenders to verify potential borrowers' income and debts when deciding whether they could afford a high-interest loan, thus protecting vulnerable consumers from predatory lenders. Advocates of these provisions argue that “ability-to-repay requirements protect borrowers from getting caught in loans with exorbitant interest rates,” which can exceed 300 percent. Network and cable news almost entirely ignored the CFPB’s proposed rollback, which will be open to public comment for 90 days, despite its potential to affect millions of borrowers. The only significant coverage occurred on MSNBC’s MSNBC Live with Stephanie Ruhle in a segment that lasted over seven minutes and emphasized the detrimental impact the rollback will likely have on consumers. MSNBC and NBC also featured two brief headline segments covering the topic on their early morning shows that each lasted less than 30 seconds. There has been no other coverage on MSNBC or NBC. CNN, Fox News, ABC, and CBS have not covered the story at all. UPDATE (2/8): After noon on February 7, MSNBC ran two more segments covering the CFPB proposal. On MSNBC Live with Velshi and Ruhle, host Stephanie Ruhle again presented the facts in a segment that lasted over six minutes and featured New York University business professor Scott Galloway. The following hour, on MSNBC Live with Katy Tur, Katy Tur hosted former Secretary of Labor Robert Reich to discuss the damaging impact this rule will have on consumers in a segment that lasted a little over one minute. Methodology: Media Matters searched SnapStream for mentions of "CFPB," "consumer protections," "consumer financial," "roll back," "payday," "community financial services," "CFSA," and "Kraninger" on MSNBC, CNN, Fox News, ABC, NBC, and CBS from February 6 to noon on February 7.